Elaine's Creative Musings: Oh Hello! Our old faithful Bashful Blue has been pulled, so it will no longer be available as of 1 July 2013. I shall be sad to see this baby blue go. 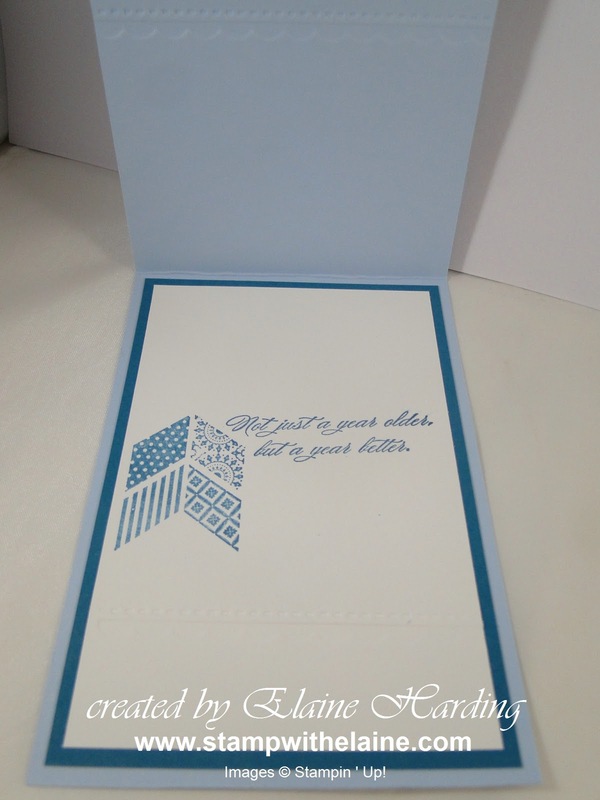 This is the card I sent to my downlines who celebrated their birthday in April. I used the Needlepoint TIEF (textured impressions embossing folder) to emboss twice, creating a channel so I could glue a piece of Tea for Two DSP in between. Then I sponged and glued the flowers die cut from the Flower Fusion sizzlet die and added a single flower trim daubed in Island Indigo to match and topped it off with a little pearl. I eyeballed stamping the patterned chevron from Oh, Hello! 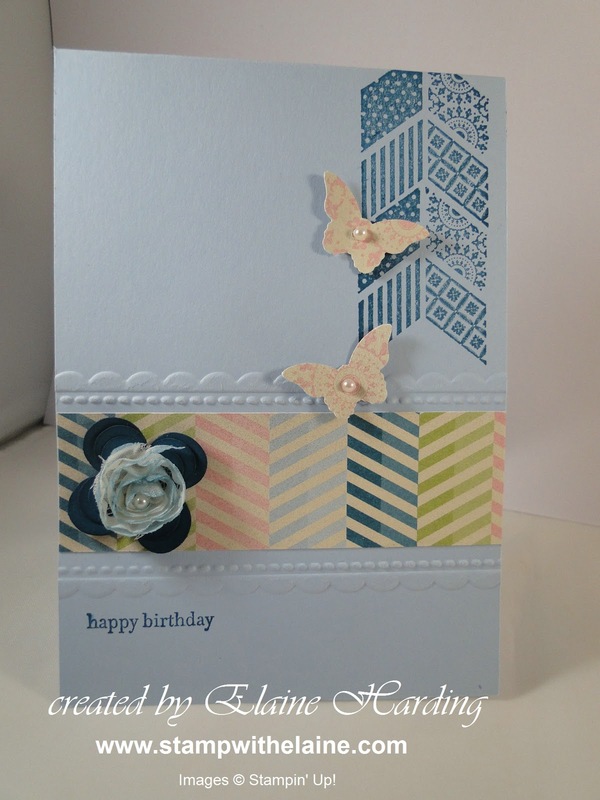 stamp set and punched a couple of butterflies with the itty bitty butterfly punch. For the inside, I dry embossed the bottom of the Whisper White layer with the same TIEF, and matted it on Island Indigo so it would tie in with the front of the card.